I’ve been living in Cardiff for nearly a year now and after reviewing plenty of vegetarian restaurants, bars and cafés, I thought it would be helpful to compile a map of the best places for veggies and vegans to eat out in the Welsh capital. Lovely light and airy café-bar, with a sunny courtyard for summer evenings. Wide range of veggie and vegan dishes available, all made with fresh and local produce. They do a particularly tasty vegetarian breakfast. Cosy Indian café and takeaway located five minutes away from Millennium Stadium. All dishes are vegetarian and can be adapted for vegans. They do a good selection of freshly-made Indian sweets. Quirky kitchen, lounge and gallery in Cathays, complete with its own yurt in the garden. All dishes are vegetarian, by popular demand. Most dishes can also be adapted for vegans. Don’t miss out on the vegetarian Sunday lunch. An integral part of Cardiff life, the Riverside Market takes place on the banks of the Taff every Sunday morning, from 10am until 2pm. There are plenty of vegetarian stalls, including Frantastic Crepes and the Parsnipship. Vegetarian heaven! Small and cosy vegetarian café, which offers an almost overwhelming selection of Indian and Oriental dishes. Vegetarian Food Studio has won many awards, including Vegetarian Society Best Restaurant and the Guardian Food Award. For comprehensive listings, visit the Eat Out Vegan Wales site. Thegreenveggie has been out and about in Shropshire this week and stumbled across a real hidden gem, called Dorrington Old Hall Persian Cuisine. Persian (or Iranian) cuisine is becoming increasingly popular in the UK and the best news is, it’s great for veggies. Dorrington Old Hall was the first Persian restaurant to open in Shropshire and the traditionally British black and white timber-framed building, which dates from the 13th century, contrasts with the Middle Eastern, Central Asian and Indian culinary influences. The restaurant’s owner and chef Ijlal Haider recognises that many people have never tried Persian food before, so he provides an extensive buffet, where diners can try a diverse range of freshly prepared dishes. A starter was quickly brought to our table by a friendly waitress, who was eager to explain all the different mazeh, or appetizers. 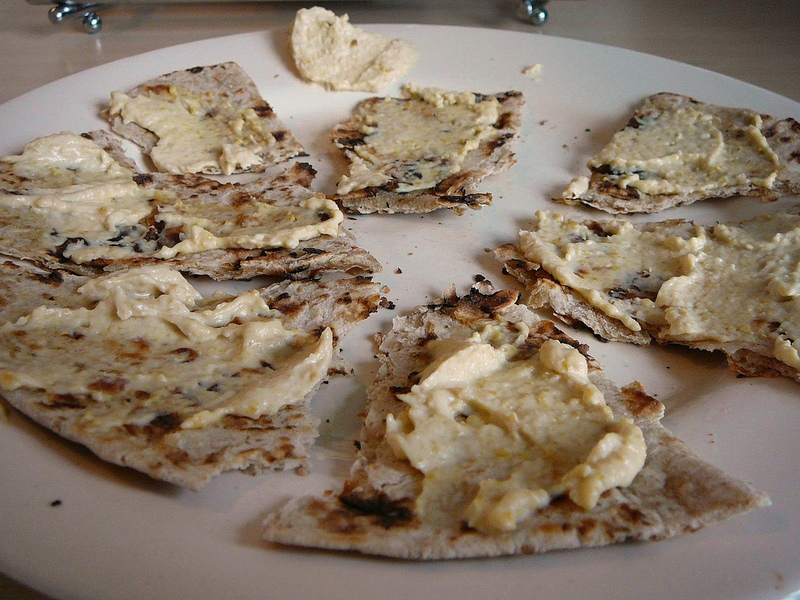 These consisted of fresh black and green olives, naan-e-barbair (Persian flat breads) and a selection of dips. The naan-e-barbair, which are the most common style of bread baked in Iran, were still warm and tasted as if they had come straight out of the oven. They had been lightly brushed with olive oil and sprinkled with freshly ground black pepper. They were accompanied by mast-o-bademjan (a dip made of roasted aubergines and onions in yoghurt), salad shirazi (tomato, cucumber and onion with mint, lemon juice and olive oil) and homous (creamed chick peas with garlic and lemon juice). All of the dips had rich, complex flavours. The homous was thick and had a strong, garlic taste, but this was perfectly balanced by the refreshing hints of lemon and complemented the cucumber, tomato and mint in the salad. A “culinary selection” buffet of main courses is available most nights and offers a selection of 12 different dishes, about half of which are suitable for vegetarians. My favourite of these was Ghormeh Sabzi, which is considered by many to be the Iranian national dish. Made from rose coco beans, spinach, onions and parsley, it is a rich and mildly spicy stew, which was served with steamed basmati rice. The Khoresht-e-Gheimeh, or split-pea stew, which contained yellow split-peas, lentils and garlic, was also delicious. Dr Haider is clearly passionate about his food. After working as a surgeon for many years, he swapped his doctor’s coat for a chef’s apron to share his love of his native cuisine. He was on hand throughout the evening to talk to the diners and explain the dishes. He is clearly a talented chef and reached the finals of both the South Asian Chef award and the Shropshire Curry Chef of the Year award in 2011. Overall, it was a delicious meal in a friendly and intimate setting, and it was very refreshing to try something new. For more information, or to book a table, call 01743 719100.